As I’ve mentioned before, I have a slight obsession with all things pumpkin. 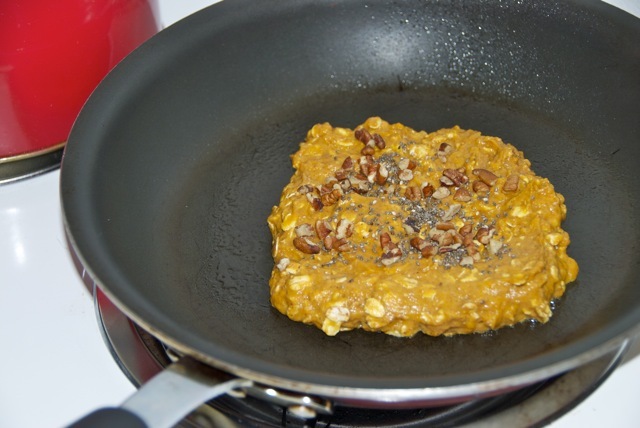 This morning I found myself with a little extra time on my hands before work, so I decided to make one of my old favorites for breakfast: a pumpkin oatmeal pancake! You don’t really even need much extra time. It only takes about 10 minutes start to finish, including clean up, to make these. 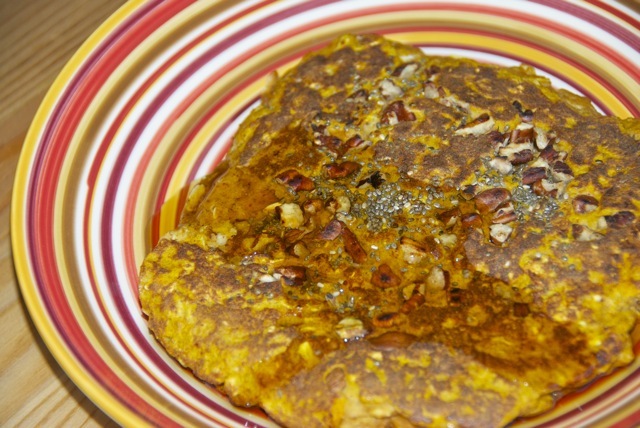 The best part about my pumpkin pancake is that it’s a recipe for just one hearty sized pancake, so there’s no need to make a whole batch if you’re cooking just for one. But it’s easy to double or triple if you’ve got a group! I used to make these pancakes all the time when Nick was away at OCS. I’d text him pictures, and he’d drool over them while eating tasteless gluey oatmeal. That might have been a little mean. But once he got home, I made them for him a few times and he was a big fan. It’s been a while since I’ve made one, but I’m not sure why! My first bite immediately put all the oatmeal and cereal I’ve been eating this week to shame. 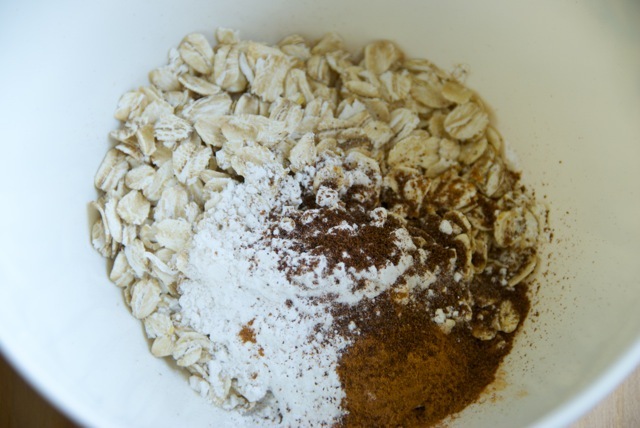 In a bowl, mix dry ingredients together. Heat a pan over medium heat and butter or nonstick spray it. Pour the batter into the pan. These pancakes are thick and dense, so you’ll have to smoosh the batter down into a thinner round pancake shape. Add any toppings you’d like. I used pecans and chia seeds, my new found super food. The pancakes may or may not bubble… sometimes mine do, sometimes they don’t… so keep an eye on it and flip when it’s ready. 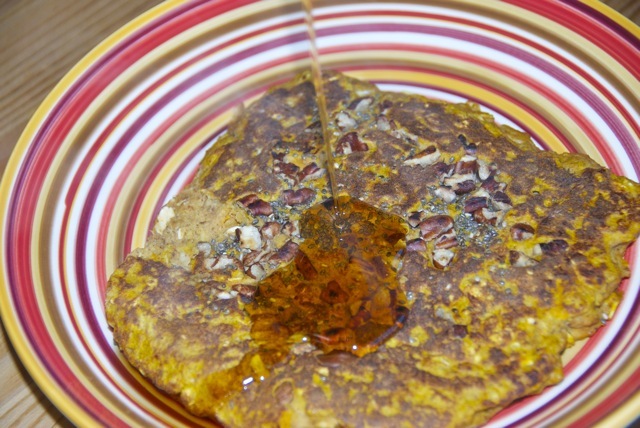 Since there’s no sugar in the pancakes, serve them up with a healthy dose of syrup. 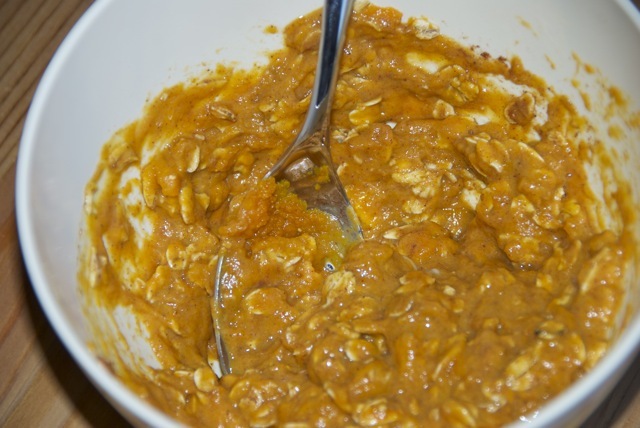 Mmmmm… pumpkin pie breakfast! This looks so yummy! And filling!